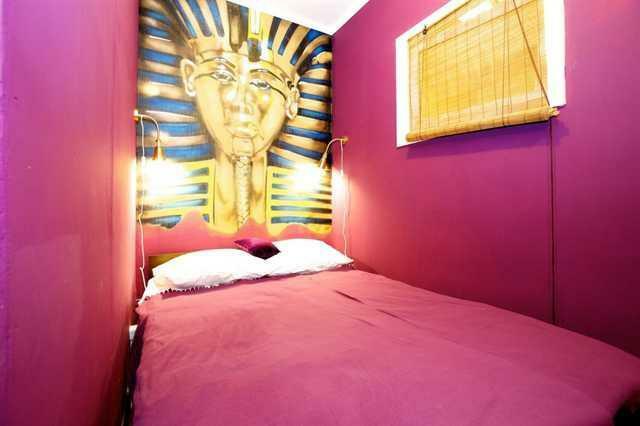 Hostel Pharaon is a small home-like hostel where all the guests will find comfort. We tried to keep your rest and calm: all bedrooms and dorms are located on the second floor and the common area with kitchen on the first floor. So you can cook any time, or watching TV/DVD, or talking with other guests without breaking the rest of the other guests. 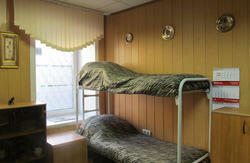 We offer cheap accommodation in our spacious rooms with original design and very comfortable wide beds. We provide bed linen; you also can rent a towel. There are 3 showers and toilets, and also one extra shower in one double room. 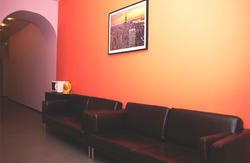 You also can use any time our full-equipped kitchen, washing machine, iron, hair dryer, free Wi-fi. You will enjoy your stay in the hostel Pharaon as we keep your rest and calm: all bedrooms and dorms are located on the second floor and the common area with kitchen on the first floor. Check in from 13:00 to 14:00 . After you exit from the metro “Chernyshevskaya”, you turn to the right and going along Chernyshevskogo prospect till the third crossroad and turn to the left on the Zakharievskaya Street. When you find a big beautiful building with sphinxes number 23, come to the big arch with iron gates, and in the yard turn to the left and go till the end, and then go to the right also till the end and ring the bell on the door of Pharaon Hostel!